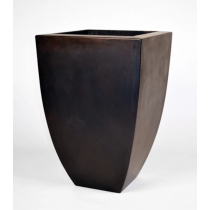 Modern Urn Planters that Enhance any Area. 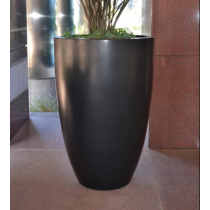 Contemprorary Planters, Modern Planters and Designer Planters that are guaranteed to enhance any landscape area. Luxurious and Stylish our Concrete Planter Bowls complement your designer needs. Made of GFRC (Glass Fiber Reinforced Concrete), it makes the bowl stronger, lighter and more durable than that of our competitors. 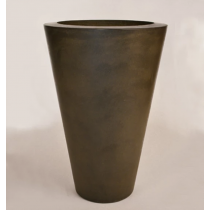 Our skillfull concrete artisans have worked many years in perfecting our modern planters. All of our planters truly are a peice of art. After properly curing and having enough time to dry, we apply a clear protective coat to help protect from weather elements and UV resistance. guaranteeing you many years of enjoyment. 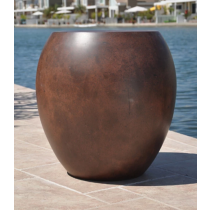 Your Direct Manufacturer Source, we at Outdoor Fire and Patio, would genuinely enjoy being a part of your new Luxury Planter project. Call Today and speak with an expert! 5 Week Lead Time on Most Modern Urn Planters - Top Diameter" x Height"